Please tell her your support on Polycount or CGtalk for that upcoming « CG amazing must-have tool » ! 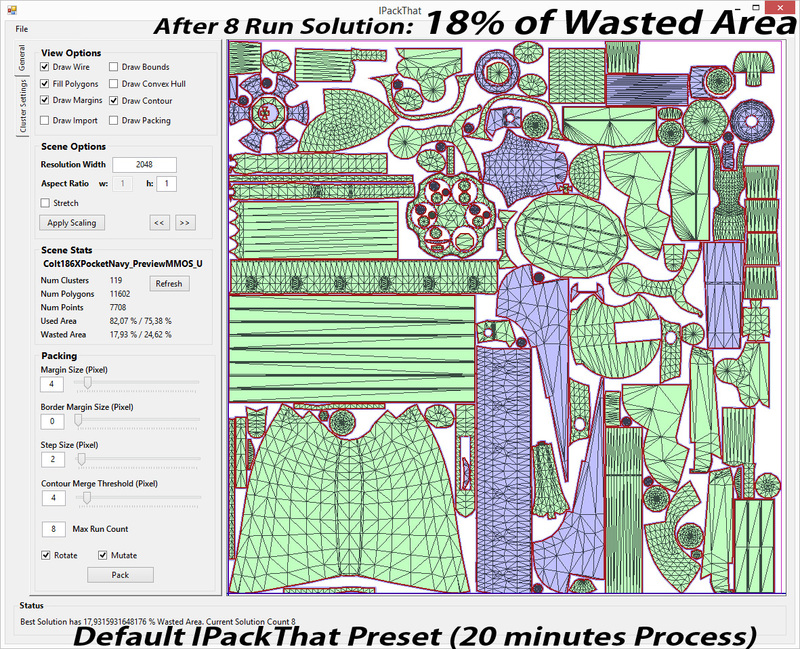 26 % of wasted space in 6 mins > compared to my 21 % on my hand made layout in around 4 h of tweaking. And for the Fun after 8 Run to find the Best solution it goes down to 18 % of Wasted Area. So Good !